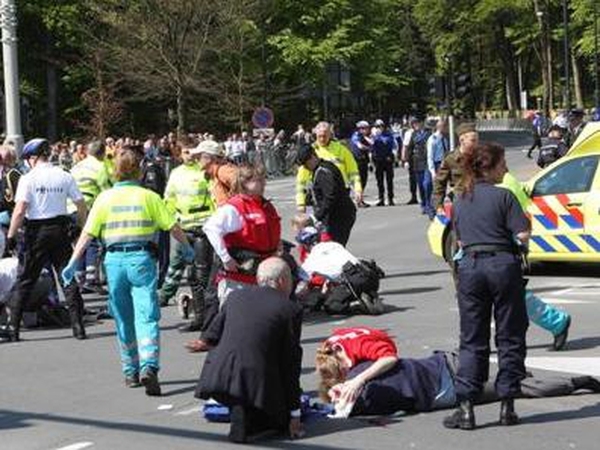 The car driver who had sought to ram the Dutch royal family but killed five onlookers has died from his injuries. The 38-year-old man died in hospital overnight, NOS television has reported. Officials said yesterday they had arrested the driver of the black car which rammed into the foot of a monument after mowing down people gathered for the Queen's Day royal procession in the central city of Apeldoorn. He had confessed to police that his action was aimed against the royal family, but then was hospitalised with critical injuries. 12 people remain injured in hospital. Four of the injured spectators are in a serious condition. Three men and two women died. The royal family usually visits a community on Queen's Day, an annual holiday when citizens wearing the national colour of orange flood on to city streets.